Clay Guida will most likely retire BJ Penn at UFC 237, or at least we hope he does. Penn has a legendary career and if you are a regular visitor to ProMMANow then chances are it doesn’t need an explaining as to why or even a recap. What does need recapping however is Penn’s recent run. Starting in 2010 from his bout with Frankie Edgar in which Penn lost his lightweight title it went downhill so fast your head spun as it rolled on by. BJ has lost 8 of his last 10 with a win against Matt Hughes and then a draw with Jon Fitch sprinkled in between. 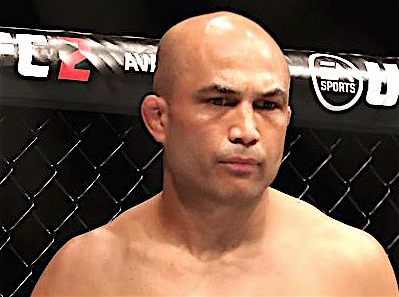 Coming in to his UFC 237 fight with Clay Guida on May 11th Penn is 0-6 which would have seen any other fighter cut from the roster or in the Hawaiian’s case – be forced to retire. Penn is not the freak of nature he used to be. It’s the truth and we are not apologizing. His safety comes before his swan song. Still, his upcoming opponent had some praise to heap on BJ. Yes it is for his past accomplishments and not the shell he has become but it’s praise nonetheless. He paved the way for not just the lightweight division, but pretty much the UFC. He’s done so much for the sport, so much for so many up-and-coming fighters. I’m just so excited and thrilled that they offered a fight like that. I could not turn it down. You can hear everything Clay said below. Check it out. Are these lopsided odds for Thompson vs Pettis right?